Mighty, mythical and magnificent, Elephants have long been the stuff of folklore and popular culture alike. Blessed with highly matured sensibility and long-term memory, elephants sadly aren’t being as revered in modern times as in the past history. Despite being worshiped in some societies, the grim reality remains that these great creatures are killed for ivory. Decades of poaching and loss of natural habitat has so distressed this otherwise gentle societal animal that cases of elephant turning aggressive are being heard so often these days. But is it really their fault or a by-product of human greed? 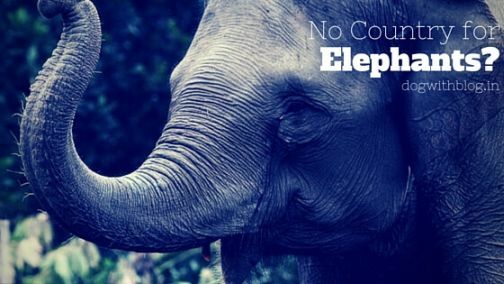 Are we staring at the possibility where there’s indeed no country for elephants? 96 Elephants are killed in Africa every day. Every Day. In recent history, Africa’s elephants underwent a dramatic and devastating decline, human greed and rising prices of ivory leading to the appalling slaughter. Elephant ivory has been used to make billiards balls, piano keys, jewelry, show pieces etc. Increasing demand for ivory, especially in China, is speculated to be at the heart of the elephant poaching epidemic. Marauding elephants kill about 300 people every year as they march into villages in search of food. 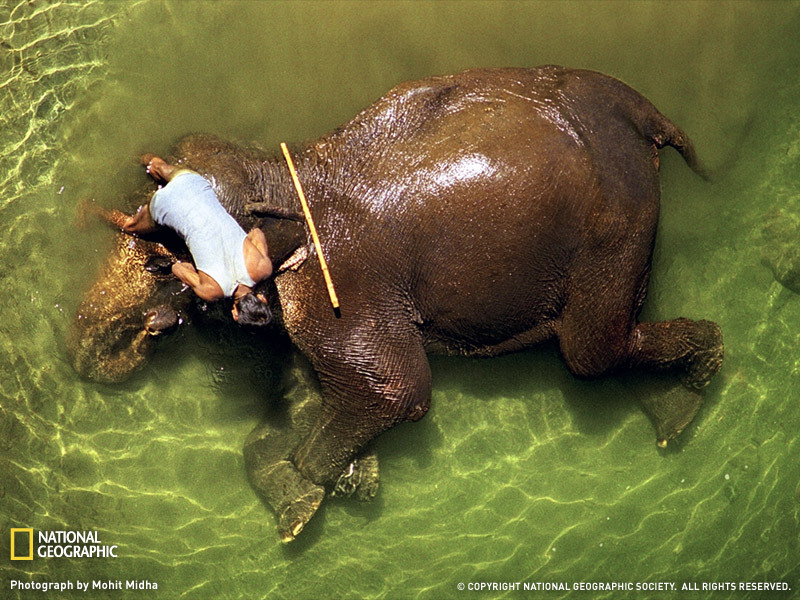 As the elephants move out of their habitat to human habitations, it leads to eventual conflict between man and animal. Elephants are not aggressive animals. But increasing conflict with humans is making them more and more aggressive. Recent research by animal behaviorists have found that the elephant orphans who’ve watched the death of their parents and elders from poaching and culling, exhibit behavior typically associated with post-traumatic stress disorder and other trauma-related disorders in humans: abnormal startle response, unpredictable asocial behavior, inattentive mothering and hyper-aggression. Elephants aren't anatomically designed to carry weight on their back and this leaves their spine severely damaged each time they are made to carry tourists. India offers some of the most bizarre juxtapositions when it comes to wildlife. With animals being an integral part of the celebrated cultural and religious ethos, it comes as no surprise when one comes across temples where milk is offered to snakes or abodes where monkeys and langurs are as much a part of the milieu as devotees. In the heartland of India, one can see ladies offering the ‘rotis‘(chapati) to cows and stray dogs. It is the land where animals are embedded so deep in the religion that half the deities have an animal as their preferred mode of transportation. And yet, one can see animal abuse without trying too hard. Elephant, the largest mammal on land is worshiped yet has to slog it out in labor camps; he is as much a part of our history as he is an icon of modern India(No, I am not referring to the political party). In a bid to give elephant conservation the same momentum of national pride that ‘Save the Tiger’ campaigns evoke, the government has decided to declare the jumbo as a national heritage animal. Last year, the Indian government declared Gangetic dolphin as the national aquatic animal, as it symbolizes the health of the country’s rivers. The government in the past amended the Wildlife Protection Act and set up a National Elephant Conservation Authority (NECA), similar to the existing National Tiger Conservation Authority. NECA aims for long-term planning and a coordinated effort to conserve the elephant – with its current population of over 25,000 animals – well before its numbers dwindle to panic levels like the 1,000 tigers left in India. Curbing poaching,man-animal conflicts and protecting elephant corridors by regulating development activities and relocating local populations. Apart from wild jumbos, the 3,500 captive elephants – many at temples and zoos – must also be protected, says the report. In some areas, the problem of poaching has become so serious that there’s only one male for 100 females. It makes sense to make efforts while we still can. Riding on the media lights and aggregated buzz of Save Tiger campaign would be futile if the purpose that it intends, limits itself to only advertising. Having said that, I agree that awareness is indeed necessary but what we do with that collective conscience? The elephant who dies at railway crossings or in road accidents highlights how humans have encroached on the land meant for the wild. From farmers burning elephant calves and putting electric wires on their farmlands, a solution needs to be found to avert thse man/wild greed/nature clashes. Let’s hope that the protagonists of countless stories of grand ma’…the patrons of Indian forests- the tigers and the elephants survive these harsh times. It was long due. Good that the govt is finally waking up. But legislature alone will not help in any way. iT is very important to change people’s attiude towards our animals, be it the elephant, the tiger or our stray doggies. Posts like yours help towards creating some awareness. Please cary on the good work. we really appreciate it. I came here through a Facebook recommendation, Calvy. You have a great blog going here. And I especially like the sincerity and apparent passion of this post. I so much wish there were more people like you in our country to make things look up a bit. ” It is the land where animals are embedded so deep in the religion that half the deities have an animal as their preferred mode of transportation. Pingback: Why Baby Elephants Love This Wonderful Human Being? Previous Previous post: Jallikattu- the juggernaut that must be stopped!